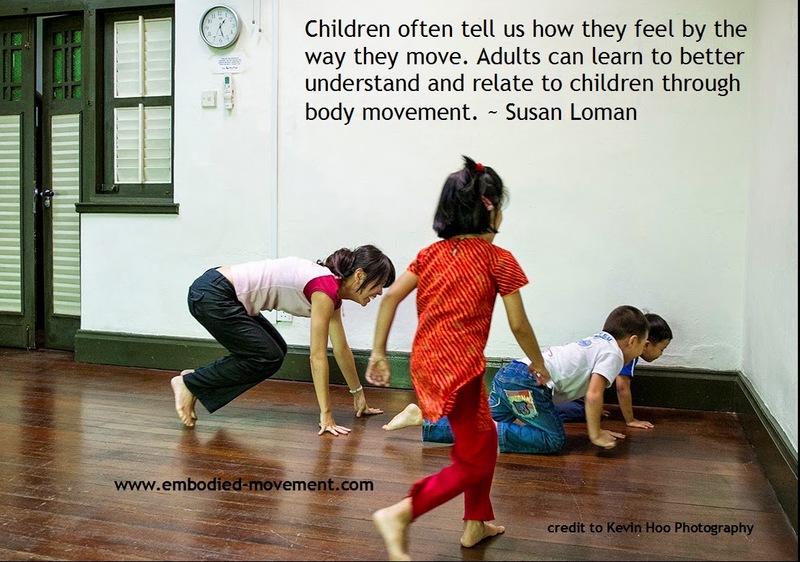 Having been an educator in the main-stream and as a drama and movement teacher in the early years of my life, I would have said I never understood the idea of play. Now as a dance therapist and Ways of Seeing Practitioner, I finally understand the meaning of play. Partly, I discover my own inner child during my therapy in my training ;and partly, I have been processing a lot of my own materials which I have been imparted, inculcated and taught when I was a child. To rediscover play, the essence of play, I first have to learn to play myself. Play is such a simple word. Yes, of course anyone can play. Children are the best models of showing us how to play in fact. However does an adult, a parent, an educator, a facilitator know how to play, interact in play, connect through play, bonding through play with children? Often, I get parents telling me, "There's no difference in what you do and I do." Or educators saying, "I can do what you do." I marvel. They try. Only when they try to follow exactly what I do, then they shared that it was not so easy after all. Seeing is easy, doing is another. 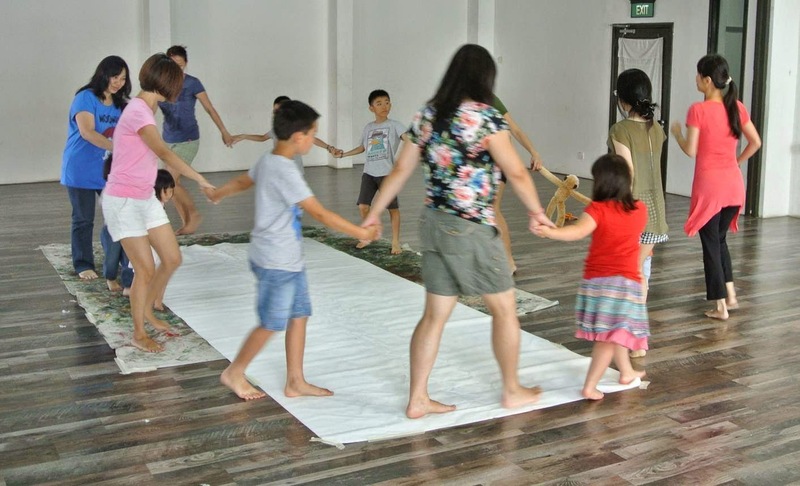 How the child would want to engage us in play or not, withdraw or involve, resist or join in, it is a joint effort of shared play rather than being imposed or expected or directed purely from the adults, telling a child what to do. 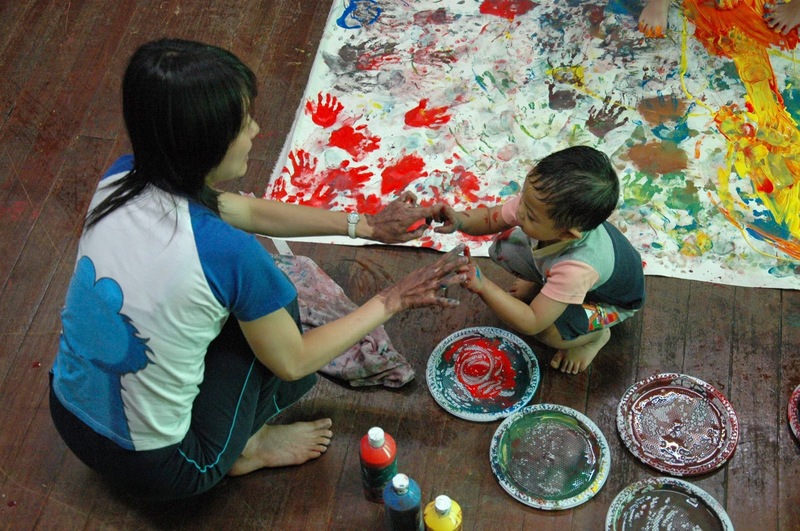 Often the child does not have the room and freedom to explore and express in the play, often being directed and led by the adult's expectation. Free play also consists of a safe environment where there is a freedom of expression yet feeling safe, held and contained at the same time, to explore, create, play and take risks without being judged. I love playing with children. They bring lots of creativity, amazement, imagination and wonders. How do we facilitate, support and encourage play with our children where it is their ownership and creativity? And yet they enjoy the shared space of play together with us? Until I have to spend time explaining what the differences are, what are being entailed, what have happened.... then it rings and makes sense to the parents that there is a difference in the way how they play and relate to and with their child or how I have facilitated play in the program. There are many reflections going through my mind and body - through observing, questioning, sensing, reading nonverbal cues, listening to myself and to the child, use of tone, words, body language, eye contact, proximity, and much more....... during the interaction of play. These impact the way we nurture or hinder play with our children. Ready to play? Join me in my workshops! 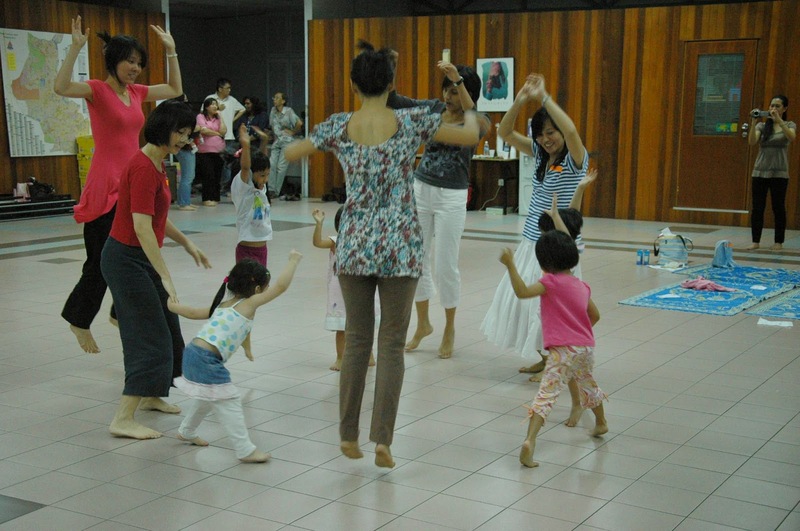 Take a peep at our website, Embodied Movement programme in Netherlands & Singapore.